Queer migration scholarship, an unruly body of inquiry that is potentially vast in scope, has varied rather than singularly defined subjects and objects of study. It participates in and contributes to wide-ranging debates that traverse multiple fields and disciplines. It has been fueled by the fact that international migration and related transnationalizing processes have transformed every facet of our social, cultural, economic, and political lives in recent decades. Sexuality scholarship has started to explore how “the age of migration” is centrally implicated in the construction, regulation, and transformation of sexual identities, communities, politics, and cultures. At the same time, migration scholarship has begun to theorize how sexuality, a neglected concern, constitutes a “dense transfer point for relations of power” that structure all aspects of international migration. Queer migration scholarship, which richly explores the multiple conjunctions between sexuality and migration, has drawn from and greatly contributed to these bodies of research — as well as to feminist and gender, racial/ethnic, postcolonial, public health, and globalization studies, among other fields. 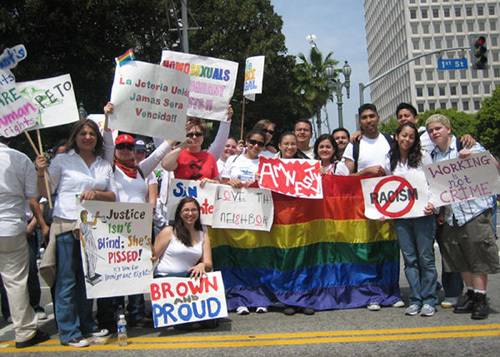 This website is dedicated to providing a forum for scholars whose research particularly focuses on the intersections among international migration and LGBTQ individuals, communities, histories, cultures, and politics. 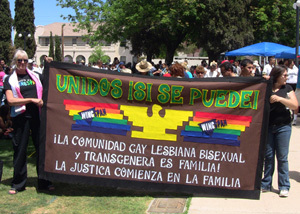 We acknowledge that the categories of LGBTQ present challenges, including because they carry problematic epistemological legacies that demand to be interrogated; migrants don’t necessarily fall into or identify with these categories, which raises important questions about the production, circulation, and remaking of the categories including through international migration; and the categories are inescapably implicated in complex relations of power. 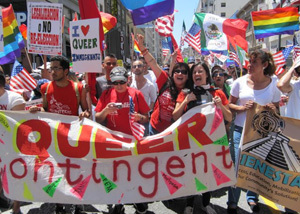 Thus, we use LGBTQ in a contingent, open-ended manner that is intended to raise questions of power, inequality, and social struggle that are an important focus for scholarship on this website. The production and publication of queer migration scholarship has grown significantly since the mid-1990s. Below is a listing of important book-length works, primarily though not exclusively in the social sciences. Please email to let us know if we have missed any books that should be on this list. You can contact Karma R. Chávez or Eithne Luibhéid. *excerpted from: “Queer/Migration: An Unruly Body of Scholarship.” GLQ Vol. 14, no. 2-3 (2008): 169-90.